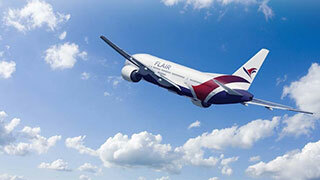 Flair Airlines Drops Carry-On Fee – Or Does It? Flair Airlines has announced it will no longer charge passengers $30 for carry-on luggage. Or has it? That sounded like a month-long, no-fee promotion to us – not something we would normally consider news -- but the quotes further down the press release made the move sound permanent. OK, so it is a temporary promotional thing, right? Well, maybe not. At least we’re not the only ones confused…at this age every potential sign of early-onset dementia is closely monitored. For the record, a spokesperson for WestJet’s ULCC Swoop, with a planned launch next summer, says there will be a fee for carry-on bags, but the number hasn’t been released yet.